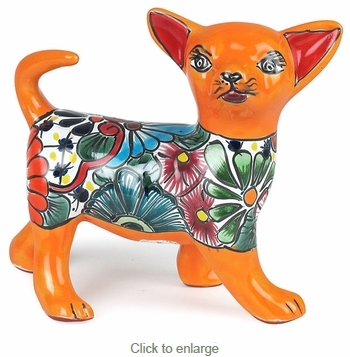 This small Talavera chihuahua has a friendly and colorful attitude and will make a playful addition to your home. Our Talavera ceramic dog statues are handmade and hand painted by Mexico's talented potters. Direct From Mexico will carefully pack your order to ensure it arrives to you safely.